DENVER — Activists asked a U.S. judge Thursday to make documents public from a 27-year-old criminal investigation into a former nuclear weapons plant outside Denver with a history of fires, leaks and spills. The activists said the documents could show whether the federal government did enough to clean up the site before turning part of it into a wildlife refuge and opening it to the public. The government built plutonium triggers at the Rocky Flats plant from 1952 to 1989. It was shut down after a two-year grand jury investigation into environmental violations. After the investigation, Rockwell International, the contractor that operated the plant, pleaded guilty in 1992 to criminal charges that included mishandling chemical and radioactive material. The company was fined $18.5 million. The documents from the grand jury investigation are still sealed. Seven groups representing environmentalists, former nuclear workers, nearby residents and public health advocates filed a motion in federal court Thursday asking for the information to be made public. The U.S. attorney's office in Denver will review the motion, but officials had no other comment, spokesman Chris Larson said. Scott Surovchak of the U.S. Department of Energy, which oversaw the plant, also had no immediate comment. Pat Mellen, an attorney representing the activist groups, said the documents could show whether the government tracked down and cleaned up all the contamination. Mellen said the grand jury subpoenaed documents from the plant that would have shown where plutonium and other hazardous wastes were disposed of, spilled or buried. Comparing those documents to the cleanup would show whether all the known contamination sites were remediated, she said. "Our concern here is that the locations that were cleaned up were complete," Mellen said. "We want to audit the cleanup." The plutonium processing area was declared a Superfund site and underwent a $7 billion cleanup. It remains off-limits to the public. The buffer zone surrounding the manufacturing area was turned into a wildlife refuge and opened to the public last fall over the objection of some groups. They said the federal government had not done enough to ensure it was safe. The government determined no cleanup was necessary there. Mellen said that finding was based primarily on soil test samples, with five samples taken on every 30 acres. That would be a total of about 870 samples across 8 square miles (21 square kilometers) of land. "There's a perception that we're hoping to dispel that every inch of the refuge was considered and tested, and they went looking for the contamination until they found it," she said. "That was not the procedure." Instead, contamination sites were identified by reviewing plant documents and public reports and interviewing workers. The motion filed by the activist groups said the grand jury investigation accumulated about 3.5 million pages of documents. Only a redacted copy of the grand jury's 124-page final report has been released. Mellen said the courts have rejected at least one previous request to unseal the documents, but she believes the time is right for another attempt. Mellen said the activist groups are seeking only documents, not transcripts of witness testimony or grand jury deliberations. Grand jury secrecy rules are designed primarily to protect the identity of witnesses and jurors, she said. The groups asking for the release of the documents are the Alliance of Nuclear Workers Advocacy Groups, Rocky Flats Downwinders, Candelas Glows/Rocky Flats Glows, Environmental Information Network, Rocky Flats Neighborhood Association, Rocky Flats Right to Know and Rocky Mountain Peace & Justice Center. Some of the groups are also plaintiffs in a separate lawsuit challenging the U.S. 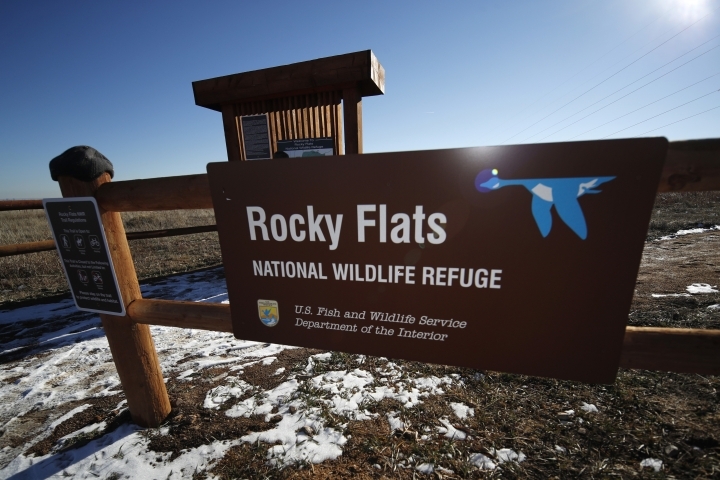 Fish and Wildlife Service's decision to open the refuge to the public.